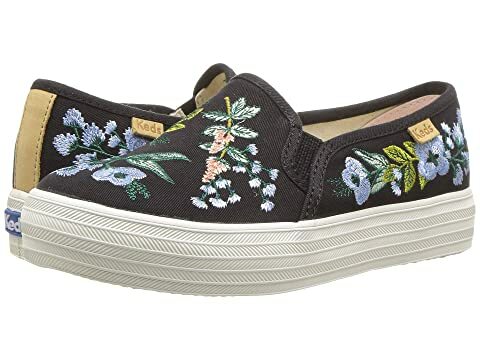 The playful look of the Keds® x Rifle Paper Co.™ Triple Decker Embroidered Herb Garden sneaker is sure to be a hit! Colorful herb and floral embroidery at each side and top. Mommy and me style for the ultimate girl's day. We can't currently find any similar items for the Rifle Paper Triple Decker (Little Kid/Big Kid) by Keds x Rifle Paper Co. Kids. Sorry!